Blick gives me the best selection at the best cost. By clicking on the icon above you can view their vast selection as well as special deals on shipping and bulk pricing. I mostly use color pencils in my class because of the versatility they offer in blending colors, using only selected colors, color theory, and more. My favorite use is adding a que tip of baby oil onto the color once the drawing is mostly finished. This allows for blending areas of a drawing turning a drawing into a painting. Select areas become opaque while others do not. Students love the dynamic of adding the oil because it raises the quality of their art visually. I strongly recommend using Blick colored pencils because they are more affordable than others fitting into a tight art teachers budget. You have many options on purchasing individual sets or classroom sets. Blick also offers great discounts when you order in bulk. I recommend ordering this way to keep you covered for the entire school year. 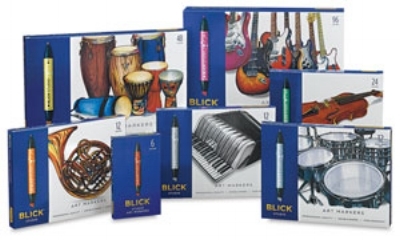 Get 10% off Blick orders of $49 or more, plus $35 free shipping! Use code CEMD. Offer expires midnight (CST), Saturday, February 17th, 2018. Exclusions apply. I also use hundreds of quality markers, however, sparingly. Markers offer students a quick rush of fun instantly as opposed to detailed lessons. I always designate a student at each table to be the cap captan to make sure each marker cap is securely closed so as to not dry out. 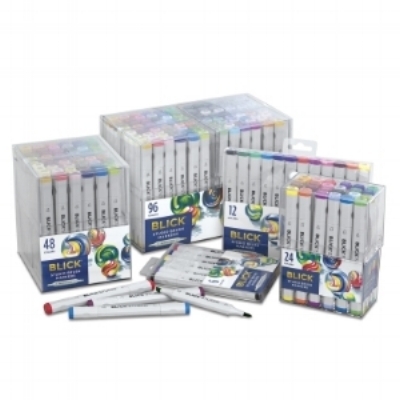 When it comes to ordering the most affordable markers I also stay with blick. You can get directly to their ordering page here. Click on the line below to view the best selection of markers.